- Support for Specular and Smoothness maps, like the Standard shader! 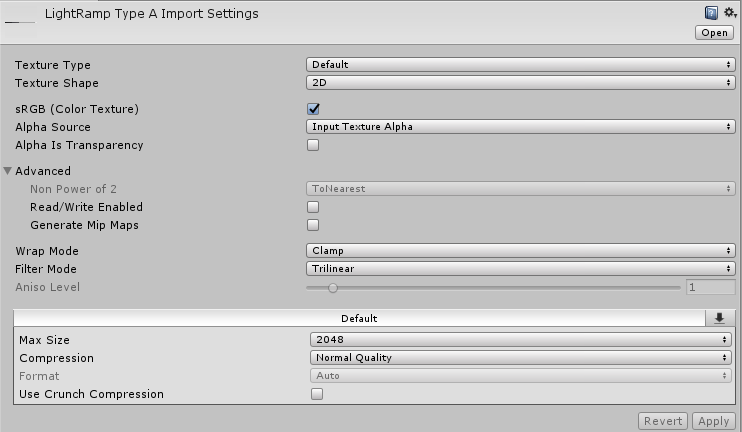 - Customisable ambient fresnel for specific art styles. - A customisable lighting ramp system, with support for MMD light ramps, designed to work in all kinds of light. - Supports all the lighting types Cubed's shader does, and more! You'll always be lit. - Lots of options for tweaking and tuning your shadows and shading! Have an ambient occlusion map? Put it into the shadow mask setting and get the benefits while still having cel shading! Or paint in your shadows with the Tone Map feature! - Outlines that shift to avoid the "broke edge" problem that happens when you get too close. - Matcap support for additive and multiplicative matcaps, anchored in world space. 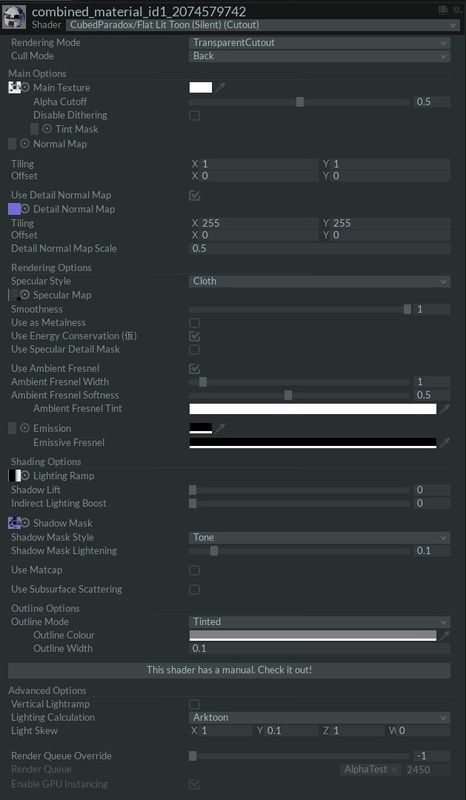 - Comprehensive advanced options for setting blend mode settings and more! The latest version is available on GitLab! You must set ramp textures to Wrap Mode: Clamp in order for new lightramps to look correct. Disabling sRGB for ramp textures will give them more intense colours. Extract the contents of the "Assets" folder into your Unity project "Assets" folder. This work is licensed under MIT License and image assets under Creative Commons Attribution 4.0 International License. Jakhaxz, Mimi, Hackspanner and 3 others like this. 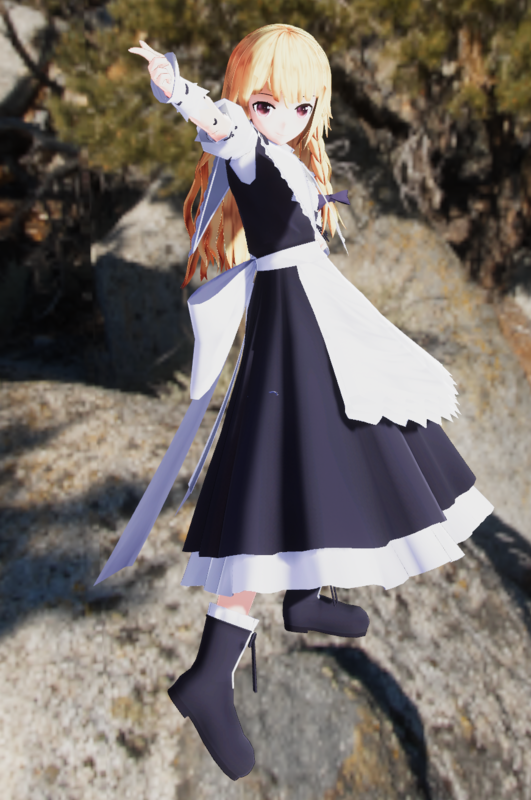 I've updated the modified toon shader to version 1.5 2 2.1. It now supports specular maps. I've also done some adjustment to try and make it look better in varied lighting conditions. This new version is not a Unity package because the packager was missing certain files. Also, it was made to not replace Cubed's shader but work as a separate entry. I haven't updated it to the keep step with the latest changes, but it'll be there soon. Shader has been updated to correspond with version 0.19. This isn't an update to the shader, but here's a lighting ramp I had good results with. Instead of going completely dark, it stays fairly light with shades of blue. It's good for models that have their own lighting details painted on. This looks really nice. I might try playing with it on Cirno. I'm sorry if I misunderstood your post, but you're keeping up to date with the Cubed's Shader builds, right? Would it be too much to ask for you to start a fork so you could easily merge changes and etc? You might even want to talk to Cubed about doing a pull request to add the feature to Flat Lit Toon baseline. Oops, looks like I do need to release a new version after all. I've updated the toon shader to 2.2 in the main post. It contains a fix for that issue, though the Alpha cutoff setting won't work until I've fixed it properly. I've corrected the issue with alpha cutoff and updated the shader to 2.3 in the main post. It's also got the latest changes to the original shader. Please try it out. Also, I made a minor update to Standard With Dithering. The new shader provides a few more options. The biggest visible difference between this shader and Cubed's original is that you can specify how the light falloff operates. This sounds complicated, but it's not too complicated. Included are some lightramps you can use. What's a lightramp? It's a texture that the shader references for the lighting. You can make your own, too. Wrap Mode: Clamp is the most important one. 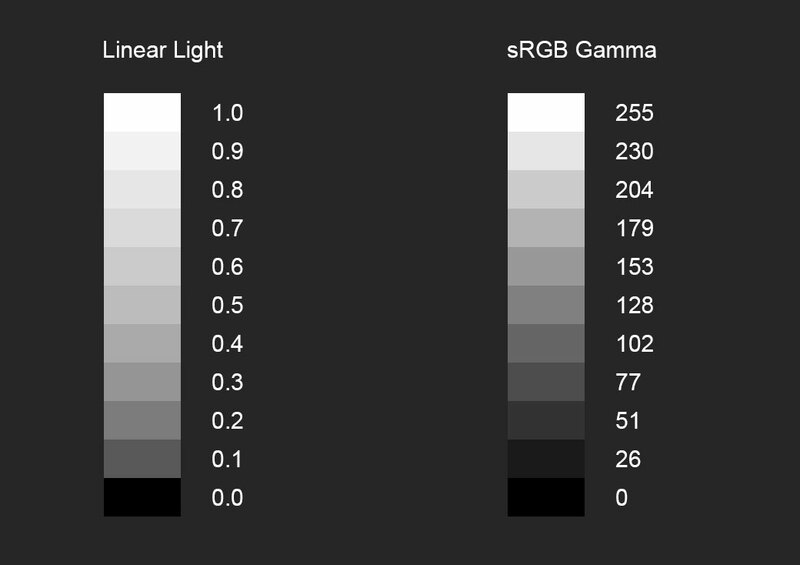 Note: Using sRGB is up to your own preference. Try with it unset, too. The main difference is that shadows become darker. This chart provides a reference for why. Here is a basic example of a material set up. This material has no normal map or specular, but you can add them in. Specular lighting will add onto what's already there based on the specular exponent. Experiment and find out what works for you! The important part, highlighted here, is the lighting ramp. By default, this is set to nothing, so your meshes will have no lighting. You'll want to select your materials and then click the ◉ to select a ramp texture. Shadow will allow you to boost the lighting by a specified amount to lessen the impact of shadows. Fresnel adds a rim lighting effect. 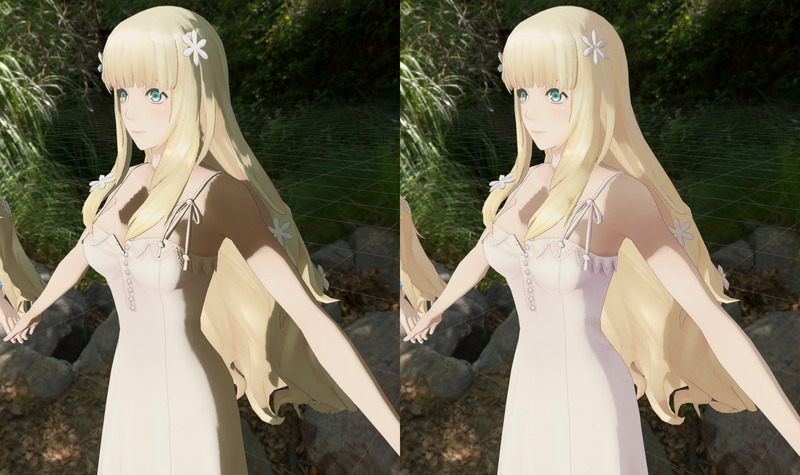 This is pretty common in game and MMD shaders, and it looks pretty nice. The higher the value, the tighter the highlight is. Conversely, a low value will brighten the entire mesh. Watch out! Outlines work the same way as in Cubed's original shader. After 9 months of work, I'm happy to announce the new version is ready. SCSS 4.0 is out! Because I've moved to releasing on GitLab, though, I've reset version number to 1.0. Anyway, please take a look and give it a spin!! A preview of the next version's improved specular. Version 1.1 is tested and ready for use! Specular system has been revamped to use Unity's lighting information better. New PBR modes for specular have been added. 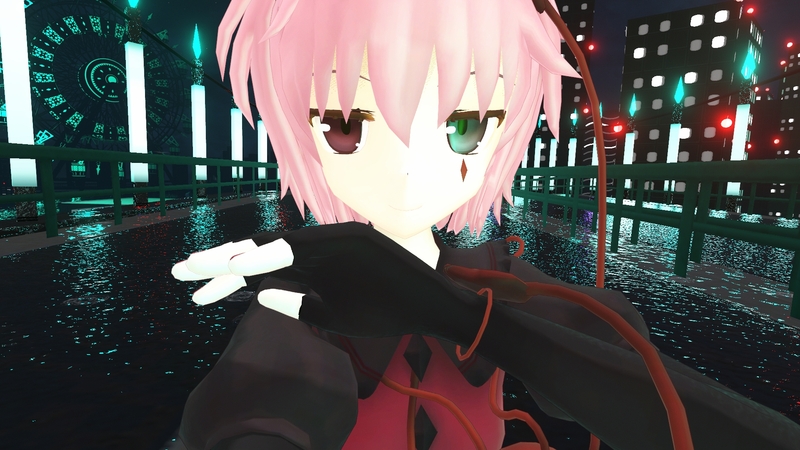 Transparency support for VRchat has been implemented. You can now change the way lighting is calculated. Added the ability to mask out the matcaps. Lighting ramps now follow the VRchat naming convention internally, so they will fall back when blocked. Note that you'll need to re-specify your lighting ramps. The latest version is available from GitLab in the main post, or here! Question regarding this shader. 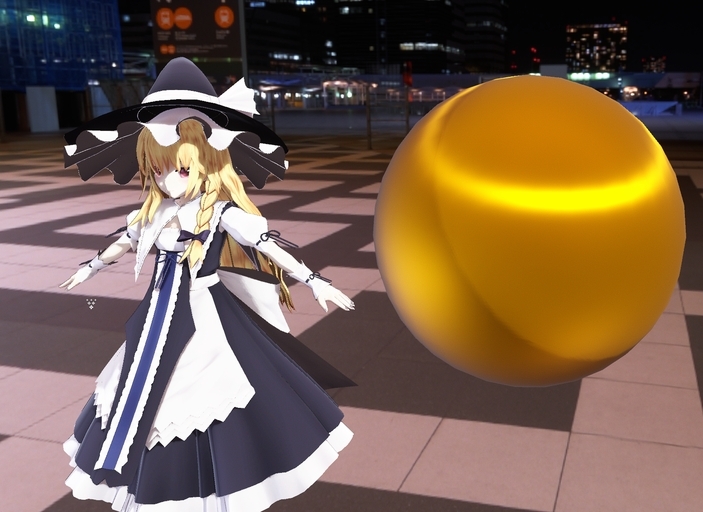 It seems to react dramatically to some light sources in worlds within VRChat, regardless of lightramp, specular maps, or normal maps. 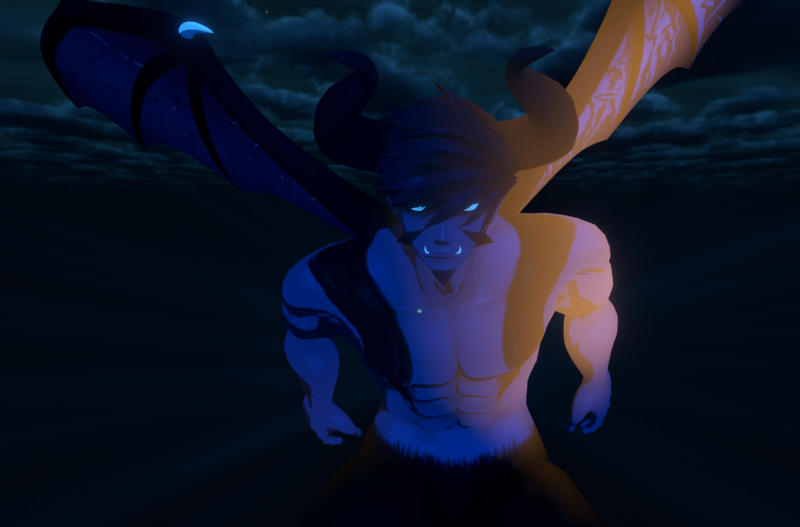 Some lights just make a flat glow on the avatar. Is there any way to fix it so the lights either a. Don't reflect on the avatar or b. follow a map to control what parts on the model would glow brighter. When a light affects your avatar in that way, that's what Unity considers an Unimportant Light. Unimportant lights are the cheapest kind of light, rendered using per-vertex shading to save on performance. In this shader, the current behaviour is for these lights to have a normalised effect so they don't look weird on flat-shaded avatars (because otherwise things will look blocky/weird). The next version (currently available to preview) will include some fancy new features! Point lights and other kinds of lights have specular highlights now! This applies to all kinds of specular. By request, subsurface scattering has been added. Bake a thickness map in Blender by inverting the normals of your model and apply! The results can be pretty surprising. More changes and fixes are incoming for version 1.2 proper. Would like to let you know, your Shader broke in 2017.4.15f1, As that is what the new unity we will be using in a couple of weeks for VRchat. Is seems Cubed paradox 0.26 shader works fine, and some problems arise with yours(not sure if you're using and older version built off CPD, but wanted to let you know, As i am testing allot of shaders). The UI seemed to have broke as well. And the Shader itself when clicked on. It looks like that was caused by a fix I added for something broken in 5.6... that doesn't seem to be broken anymore! The latest version, available on GitLab, fixes the issue. So, upgrade away! It'll be added to the main post once 2017 goes live. Note that this version has some behind the scenes changes that will mean you'll have to set your material's specular mode again. 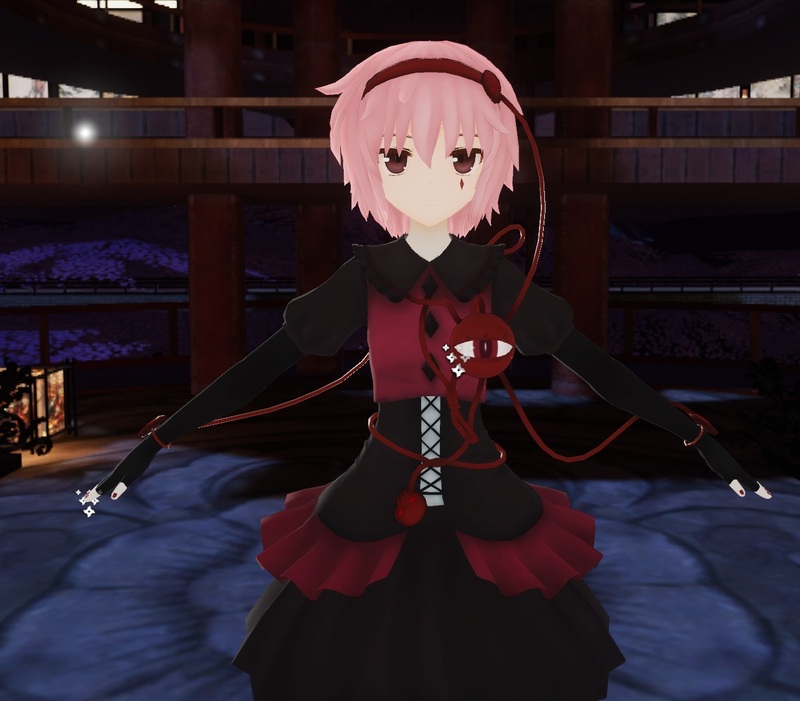 Well, VRchat's on Unity 2017, and you know what that means! 1.2 has been released! 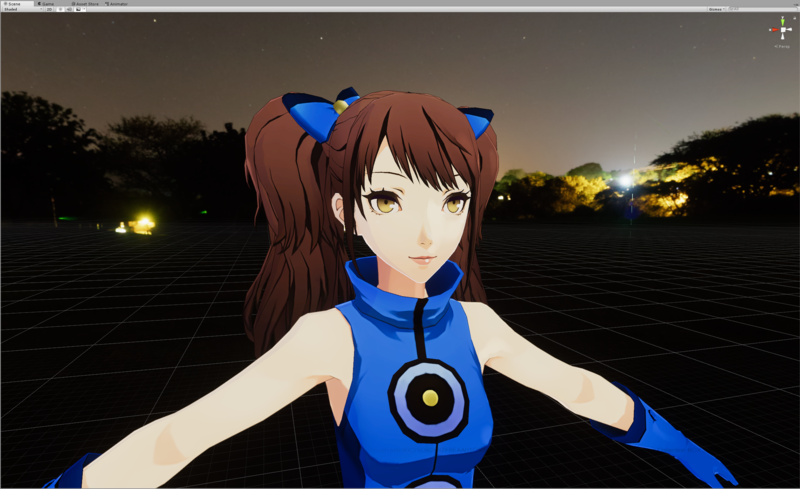 In addition to the above, it also features better handling for vertex lights, detail normal maps, and now handles ambient lighting far, far better than ever before. In addition, I've written a manual to cover the most prominent features. You can access it here. So, check it out! The latest version is available from GitLab in the main post, or here! In my rush to release for the new version, I left some bugs in... Sorry! With that said, I'm pleased to announce that version 1.21 is now available. It fixes a bug where shadows weren't applied properly, and also improves the appearance of vertex lights by fixing another bug. (The image above is using only vertex lighting.) So, try it out! The link in the first post has been updated. Hello and thanks for updating this shader. I've been using this since the 1.0. I don't post too much xd tho I would like to report my problem. I'm using lighting ramp with the included LIghtmap skin texture. In directional light it looks good. Even the blush looks good. 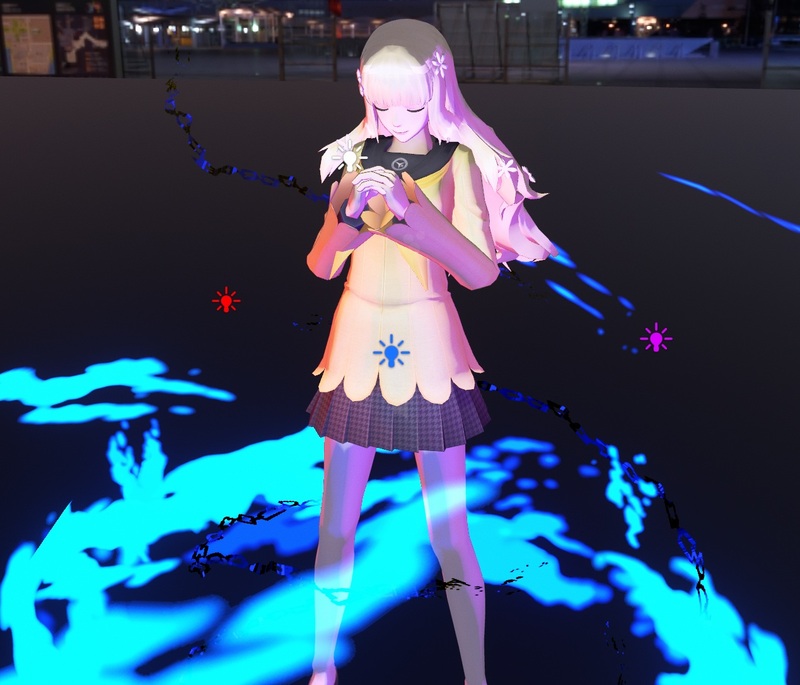 But when i use the spotlight it kinda bugs out (even the blush it turns black). It's been like a problem to me cause there are worlds that has spotlights. Though i don't know if i have the wrong values. Hi! Sorry for the long wait, but I've found the problem. The shading options for light offset weren't being applied to the additive pass spotlights use. I've released 1.22 to fix it. You can get it from here, or the updated link in the first post. I'm also working on some changes for the next version. I've added shadow tone maps! 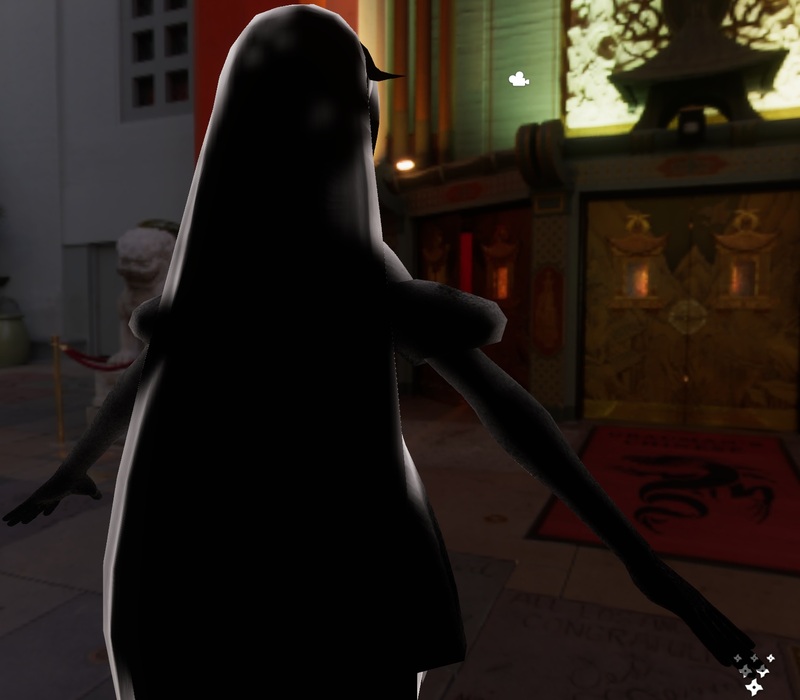 These are similar to the shadow tone system used by Arc System Works. Within these maps, you can paint a shadow colour for the material that will affect it similar to a tinted lightramp. This means you can have materials that have tinted shadows using only a single lightramp. They're perfect for representing how light would scatter through cloth or skin in an anime way. In this image, you can how the tone map works. You can choose between these and the regular occlusion maps, too. This feature is coming in 1.3, but is currently available to preview.